A few days ago a friend and I were discussing various tools (a riveting conversation, I assure you), and he asked me a seemingly simple question. "Just how many powered saws do you own?" I started to think about it and count it up in my head and I was pretty well floored. From the bigger saws I immediately think of, like my table saw and miter saw, to my smaller Fein Multimaster reciprocating tool, or my Felker tile saw, I probably own over a dozen powered saws that I actually use on a regular basis. Each has its purpose and place in our workshop and does its job in cutting, shaping, or modifying in some critical and important way. 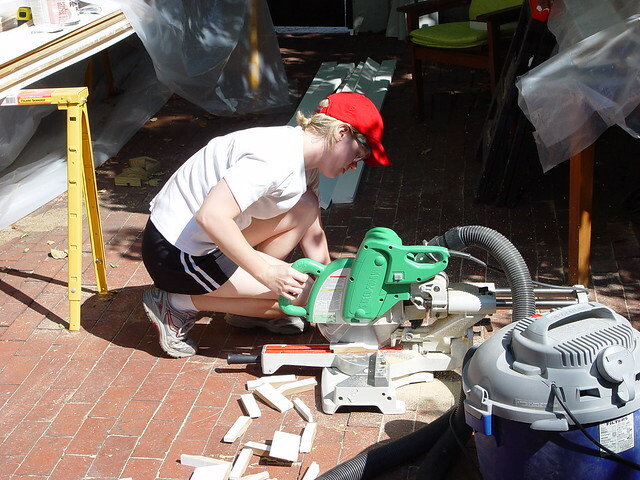 Whether I'm cutting through framing with my big DeWalt sawzall, or I'm performing a detailed cope with one of my two jigsaws (either corded or battery powered), both Wendy and I would probably feel a little lost if not for all of these various saws. But of all of my saws that I turn to for the projects that permeate our daily lives, there's one in particular that's been around since DIY day one. This is the saw I can count on to step up to the plate and meet my requirements when none of the others can quite cut it. 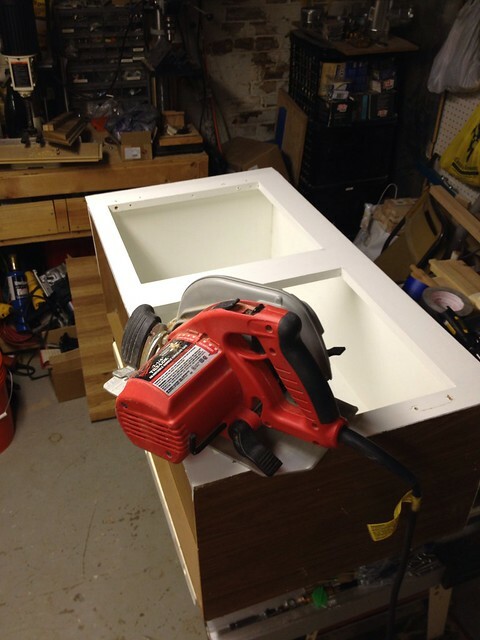 My 7-1/4" Tilt-Lok Millwaukee corded circular saw is actually the very first saw in our tool chest. It was given to me by my parents as a Christmas gift in 2002 before we had even settled on our house. Christmas 2002 brought a bountiful cornucopia of indispensable DIY implements, but this circular saw was the big daddy of the hardware that year. The funny thing about our circular saw is it didn't get much use the first few years we owned it. That's not the fault of the saw in the least bit, it's totally my own stupid fault. 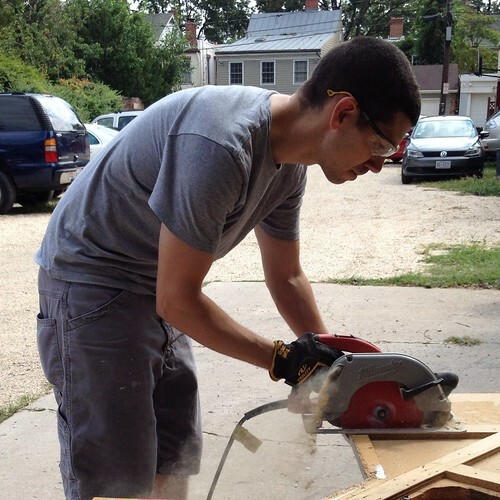 I was a novice in the tool world, and I was completely and totally intimidated by this saw. I had grown up hearing stories of kickback and blade chatter that caused injuries to extremities including full digit removals. 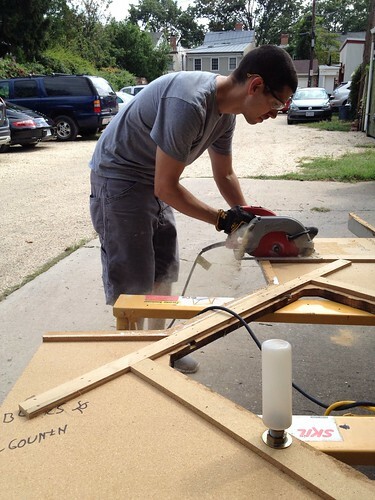 I was intimidated and scared to use the saw, almost wincing every time I broke it out of the tool chest. 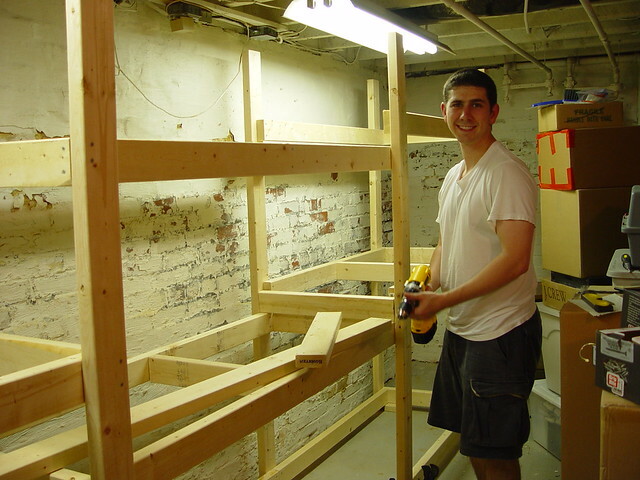 Rather than use the circular saw for the tasks it was well suited for, such as in the construction of our basement shelves or workbench, I had the home store make the first cut, and then used a jigsaw to make the additional cuts. The end result is a functional shelving system with wonky edges that look to have been gnawed away by a drunken beaver rather than cut with a precision tool. Over the years as I've gained my DIY druthers, my fear of tools has been reduced from crippling to healthy. Most notably this reduction in general paranoia has manifested itself in higher quality products by leveraging the right tool for the right job. I'd go nowhere close to saying I don't fear my tools, as an appropriate level of fear is necessary to produce the amount of respect required that has thus far allowed me to retain all 10 of my fingers and 11 of my toes (Okay, just 10, only seeing if you're still reading). ...or cutting a piece of old counter top down to size for the trash, my circular saw is always nearby, portable, and able to make the cuts I need. I've recently had some thoughts about buying a DeWalt battery powered circular saw for those times when I need a quick rough cut of material (perhaps in the home store's parking lot), but the quality of cut, ease of use, and dependability of my corded Millwaukee circular saw will be very hard to beat. If you're in the market for a new circular saw, I can highly recommend the Milwaukee brand as a dependable and high quality option. Just don't be foolish like me and act like you don't own it for the first three years you have it. Are you scared if any of the tools that you own? Or did you once have an irrational fear of a tool you now love? I'd love to hear some first hand experiences of tool fright that you've been able to overcome. The funny part is that a good mitre saw is something I would get a LOT of use out of, but I still don't own one. The only reason is because I want a good one, and the one I want is around 800$. That's a huge chunk of cash, and I never seem to be able to afford it. 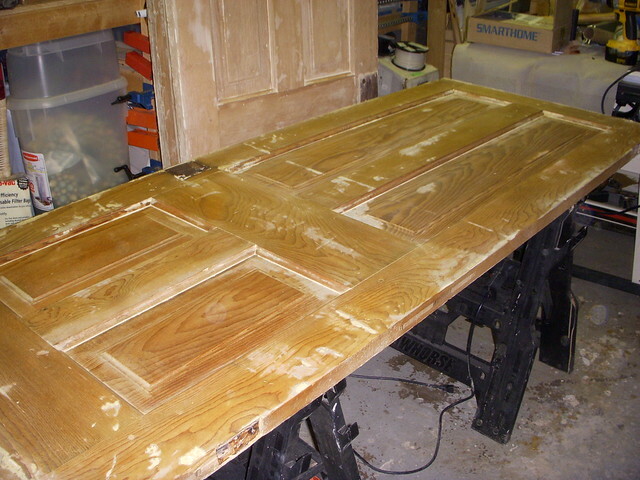 Instead, for years now, I've been making do with tricky (sometimes dangerous) cuts on the table saw, sloppy mitre cuts on my baseboards (few of these need to be super perfect since they get glued/puttied/sanded/painted, but still. I really ***REALLY*** should get myself a half-decent second hand one until I can afford my 12" Dewalt double sliding compound mitre saw. I think it's a good plan to get a second hand one now and save for the good one later. I know the sliding feature is something I use quite often, but we had a fixed 12" miter saw that we borrowed for the first few years we were in the house. Using that for such a long time made our eventual tool purchase all the sweeter. I know what you mean about dangerous cuts on the table saw. They're the ones where you are cringing as it gets to the end of the cut and you just hope it doesn't suddenly decide to start chattering and bind up/kick back. The only saw we had that I was afraid of was this ancient scary inherited circular saw that my husband kept insisting was 'perfectly fine'. I mean - he got it when his college roommates grandfather died and no one else wanted the thing - does that sound reputable to you? No. I rather like having a husband with hands, so for fathers day last year I bought him a new one - and that old one hit the trash SO FAST. Hah! Nothing says "amputation" like keepsake hand-me-down power tools. Good going on the Father's Day gift. It's an investment in retaining appendages. I am a total newbie to the woodworking world. Just bought my first circular saw and have discovered that I am terrified of it. Have not used it yet, because of the fear! Any tips for overcoming this?